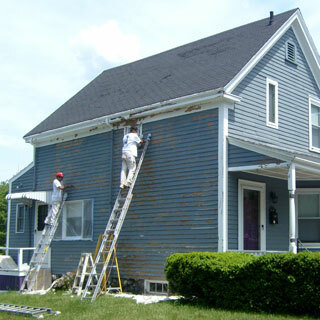 Since 1997, Arch Painting has been known for providing the attentiveness and accessibility of a small painting company with the resources and capabilities unrivaled even by larger competitors. Headquartered in Woburn, we have grown to include four additional offices in Massachusetts, New Hampshire, and Rhode Island, allowing us to bring our highly professional services to even more of New England. Our employees take tremendous pride in doing an outstanding job and always honoring our commitments, and it is this consistent and predictable level of quality that has led to repeat business and referrals. We hope to earn your business, too, and cultivate a relationship that endures for years to come. Owner and President Joe Giacalone was first introduced to painting by a cousin when he was in high school. Although he enjoyed the work, Joe didn’t like the general reputation of painting contractors, who were known largely for their unprofessional service and tendency to cut corners. While doing work at Harvard University, Joe found that being on the campus inspired him, and so he decided to attend college and better himself. He continued painting while he went on to become the first member of his family to earn a degree, even earning a Masters from Boston University. After graduating college, Joe realized that he had a true passion for the construction industry, and was most comfortable when he was on a construction project, estimating jobs, and impressing customers with both his knowledge of paint products as well as the quality of his work. Wanting to be true to who he was, Joe established his own painting company: Arch Painting. 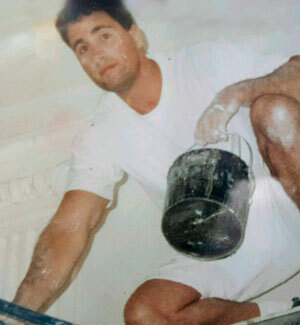 It took over a decade of long days and unrelenting dedication, but his hard work paid off, as Arch Painting flourished into one of New England’s leading commercial and residential painters.